Online privacy is now everybody's concern, debates over online privacy is buzzing everywhere, and Tor is here to protect you from the prying eyes. Tor is fairly documented and well known among privacy concerned folks, so I'm skipping the part about what is Tor, how it works and so on, this wiki article and Tor wiki seems to be very good for beginners. Straight to the point, this tutorial is about how to setup Tor on a OpenWrt router, anonymizing all devices connected through wifi, a Tor SOCKS v5 proxy server accessible from both wifi and Ethernet LAN connection. There are few zero config devices to exactly do this, Anonabox and InvizBox, but quite expensive and locked down. Consumer routers with 64MB of RAM and a USB port are perfect for this project, D-Link DIR-505 as example. Tor is a memory hungry application, minimum hardware requirement by Tor wiki is 64MB of RAM and enough free space to install Tor and it's dependencies. This could be done on a router with 32 MB of RAM and 4 MB flash storage, by tweaking the settings a bit. In such case, an extroot setup is necessary and some swap space will improve the performance. Assuming the router connects to Internet through the WAN port, and various devices are connected through Wi-Fi, the router forwards all traffic from WiFi through Tor. 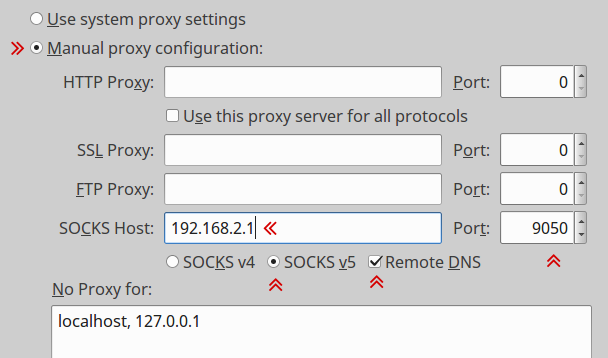 It also provides a SOCKS proxy server accessible from both wifi and ethernet adapter interfaces. The WAN port is eth1, connects to internet via DHCP . The eth0 interface is a 4 port switch, bridged together as br-lan, IP range 192.168.1.0/24 . The wlan0 interface used for wifi, configured as routed AP, IP range 192.168.2.0/24 . Login to the router via ssh, and take backup of all related configuration files, change the ssh IP according to your setup. Though backup is not necessary, just in case something goes wrong. Edit /etc/config/dhcp and create new DHCP pool for the wifi interface, add the config bellow. Edit /etc/config/firewall and create a new firewall zone wifi and setup forwarding rules, add the config bellow. Edit /etc/config/wireless to modify the existing Wi-Fi hotspot setup, change the option network to wifi from lan in the wifi-iface section. Don't forget to modify it according to your. Now bring up the wifi network interface and restart dnsmasq and network service. Again login to the router via ssh and make sure it could connect to the internet. Tor will not work with misconfigured date and time, make sure of that. In OpenWrt, time is automatically synced from external NTP servers during boot. Saves around 6-8 MB of RAM. Establishes the Tor circuit faster after first run. For this type of configuration, extroot is must, unless enough free space available in the device. Copy paste this configuration bellow, don't forget to modify it according to your setup. Save the configuration and exit the text editor. You will notice a message "Tor has successfully opened a circuit. Looks like client functionality is working." within few minutes. Optional: You may need to edit Tor init script, /etc/init.d/tor to successfully start tor at every boot. I've to add some delay before starting the main tor process. Add sleep 30 before the procd_open_instance line close to the end of /etc/init.d/tor file. Add few iptables rules to forward all traffic from wlan0 interface through Tor network. This could be done in many way, add the scripts to /etc/rc.local or add it to /etc/firewall.user extra rules. Restart the firewall service to take the changes effect. This rules wouldn't redirect ssh and SOCKS proxy requests from any device connected through WiFi . Adding a little swap space will improve the scenario to a great extent, 8-16 MB of swap space is fine, it never consumes more than 2-3 MB of swap space. To add swap space, you may use a dedicated swap partition or simply create a swap file and use it. To make it permanent add vm.swappiness=95 to the /etc/sysctl.conf file. Add swapon /swap_file to /etc/rc.local before the exit 0 line, that's all. Here's how you can check memory usage after activating the swap. 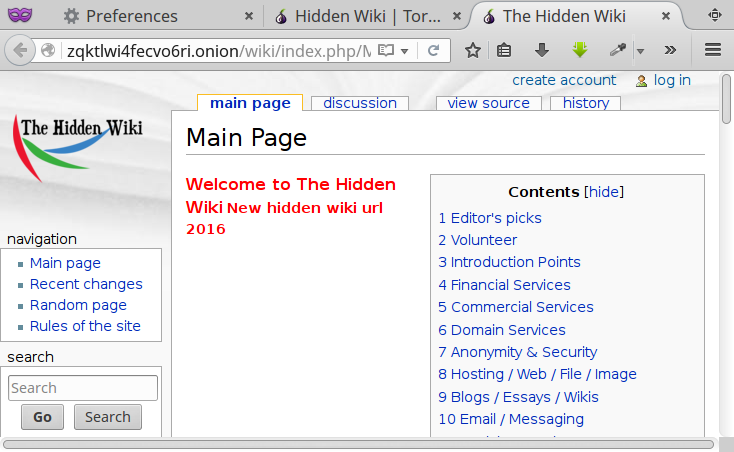 Now access some onion sites, here a good list of them, and discover a fraction of the dark web. So I'm using Tor now, no one can track me any more ! Is it ? The idea sounds cool, but proper anonymity is a much bigger practice, requires great precaution and motivation to hide. You should read this article, to get a rough idea of anonymity with tor and openwrt. I hope the tutorial is simple enough to understand, if you have any suggestion or question just leave a comment. Also don't forget to check out this list of best ethernet cable for your router and home networking. because I executed all the commands under root. Thanks to you for writing this guide - I am learning how to use WRT and wanted TOR on a router instead of on my computer. [all connections are redirected to Tor network, there was no way to access the SSH server from a client connected through LAN cable.] I know very little about WRT - I have installed it this week,but is it possible to have 3 LAN ports use TOR and the 4th port access SSH? [The eth0 interface is a 4 port switch, bridged together as br-lan,] seems to be that there are several ehternet LAN ports bridged together as one. Or are the 4 ports all together part of eth0 and they cannot be separate? If the last, then I will use WIFI as you suggest in your document. Yes, all the 4 posts are part of the eth0 interface, they all have same MAC address, they can't be configured individually, atleast in my router, based on AR9331 SoC. I was trying to tweak to the firewall rules, but about 1 hour's effort gone in vain. There is another way, use the serial console to manage the router, but doing so will definitely void the warranty. I initially though about it, but there was a problem, as all connections are redirected to Tor network, there was no way to access the SSH server from a client connected through LAN cable. And I definitely not want to open up the SSH port for the WAN interface. I also tried some iptables rule, but not working, so I've to find a workaround for this. Thanks buddy for your humble advice 🙂 . Thanks again for this excellent guide! You made my day a lot easier!